Earn a Heart of a Tiger: Compressport Run Malaysia 2016 | JustRunLah! 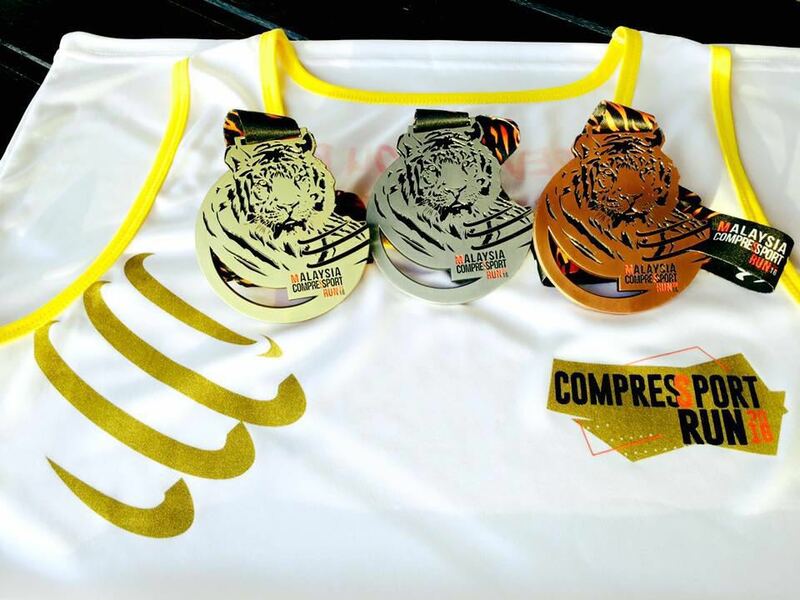 Have the heart of a tiger and earn your harimau garang medals at the Compressport Run Malaysia! Save the date: 18th September 2016! The Compressport Run brings you 3 categories – the half marathon distance, the 10km and 5km category. 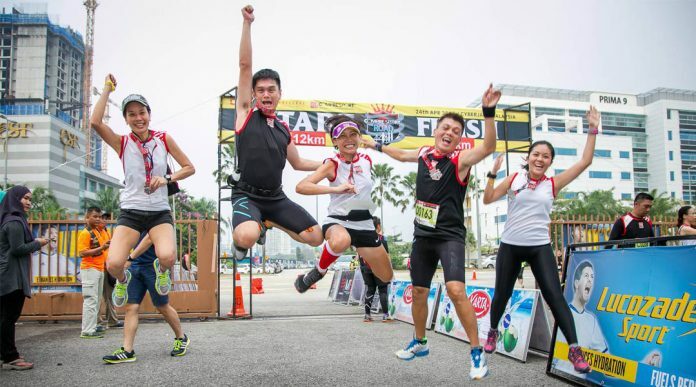 Here are 3 reasons to join the Compressport Run! Hit your target timing with the Compressport pacer team. Compressport will be organizing 2 free running clinics to help fellow participants gauge and prep for their upcoming race. This clinic will be conducted by the Compressport pacer team consisting of very familiar faces in the running scene. When it comes to hitting your personal bests, pacing can make or break your goal timing. So, come pick their brains on their running experiences, racing strategies and pacing, and maybe get their autograph? Let this be the race that goes down in your running history books! The first running clinic will be conducted on the 31st July 730am at the Bukit Jalil Park. The clinic is limited to the first 50 registrants so REGISTER now to avoid disappointment! It’s high time you own your own pair of the newly launched Compressport R2V2 calf sleeves – wherever you race, they support you! 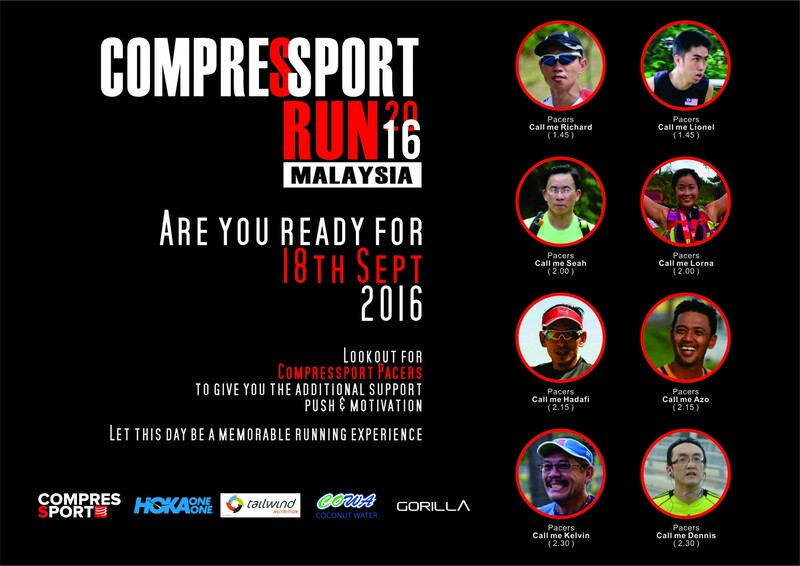 Come get yourself a pair at a 50 percent discount if you sign up for any category of the Compressport run 2016! This is definitely a steal. Race and recover with the very best of Compressions. Maybe a pair is just what you need to hit your personal best? And keep an eye out for the Compressport running vest and finisher medal. 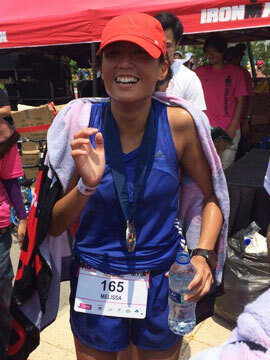 Compressport has never failed to surprise people with their smoothly run events. Just when you think no event can top this, they surprise you yet again! Their post-race reception has always been amazing. Previously they had refreshing cool coconut drinks, local favourite nasi lemak, and even ice cream! Come celebrate the completion of your run (perhaps a new personal best or new distance achieved?) with a great post-race breakfast, in the best company of fellow runners who love running as much as you do. Come make your long Malaysia day weekend special! Great news for JustRunLah! readers! Enjoy MYR 5 OFF your registration. This discount is limited to the first 100 users. What are you waiting for? Use the discount code crmy16fiveoff and register now! Discount code is valid until 30th August 11.59pm.